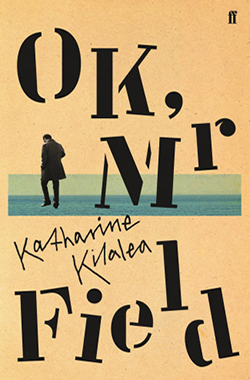 Katharine Kilalea’s intriguing début novel, OK, Mr Field, inhabits the fluid dimension between the mind and the body, and the architectural spaces built to domesticate them. Composed of serial slippages between man and machine, human and animal, order and chaos, fantasy and reality, which “dissolve the moment they [are] thought about”, this is an expansive, multi-sensory narrative which at once makes manifest the human condition and upsets that condition to vertiginous effect. The novel works against linearity and any neat interpretation of its narrative, but in précis it recounts concert pianist Mr Field’s relocation, with his wife Mim, from his home in London to an imagined double of the Villa Savoye, a house designed by Swiss-French architect Le Corbusier and built between 1928 and 1931. This replica, constructed by fictional architect Jan Kallenbach and located at False Bay near Cape Town, is a “House for the Study of Water”. Unlike the builders of other “Villa Savoye doppelgängers” (the black, or ‘shadow’, version in Canberra and the ‘mini’ version in Boston), Kallenbach “replicated Le Corbusier’s [building] in all aspects apart from its location since the original Villa Savoye overlooks the rural French landscape, while the one in Cape Town overlooked the sea”. Le Corbusier intended the Villa Savoye to realise his manifesto, Five Points Towards a New Architecture (1926), and, in its component parts, to embody an efficient “Machine for Living”. Transplanted from Poissy to the Cape Peninsula, however, the house is cast adrift. And in it, Mr Field — whose move from London was precipitated by a rail accident following his performance of Chopin’s Raindrop Prelude, which “had gone badly” — is likewise untethered. Living in the House for the Study of Water is “like living on a raft”. As it is described by one South African academic “who, like a number of so-called architourists, had turned up at the house one day as though it were a museum rather than a private residence”, Kallenbach failed to “synthesise” Le Corbusier’s design to the local environment. Thus, the building’s narrow ribbon windows, originally intended to light each room equally, instead restrict an inhabitant’s view of the world, severing the ground from the sea, and the sea from the sky, and inducing a nauseating seasickness. In addition, the horizontal orientation of the house — which, according to the laws of celestial navigation, should assist Mr Field in determining his position and finding his way — undermines his known coordinates. Already discomposed by his unpopular performance of Chopin, his subsequent accident, and the pin that now secures the shattered bones of his left wrist and “infect[s] everything with a Gothic atmosphere”, at Cape Town Mr Field has “lost [his] bearings” and become “unhinged”. OK, Mr Field can be read as a story of psychological disintegration, and initially I approached it as one might eavesdrop upon a therapy session. Thus the title became a casual invitation for the narrator and analysand, Mr Field, to speak. I imagined him in the “institutional” space of the House for the Study of Water, reclining on the Le Corbusier chaise where he spends so much of his time, “dredging up” memories, “brush[ing] up against… forgotten” dreams, working to repress the things he “didn’t want to know”, and recalling his mother, with her repeated incantation that “nobody wants to hear about your personal trials and griefs”. I watched him, watching his strange double — a black dog — perform a curious Fort/Da game and thus rehearsing Mr Field’s own fear of separation: having dropped a tennis ball at the top of a ramp, the dog’s “eyes would accompany the ball’s downward journey until the strain of separation became too great and he would set off after it with a scattering of legs”. I listened to Mr Field, listening for the phantom Hannah Kallenbach, estranged wife of the architect whose house seemed to have “ingested some aspect of her presence”, and whose spectral communications “ensure[d] that every move [Mr Field] made was tracked down and accounted for”. 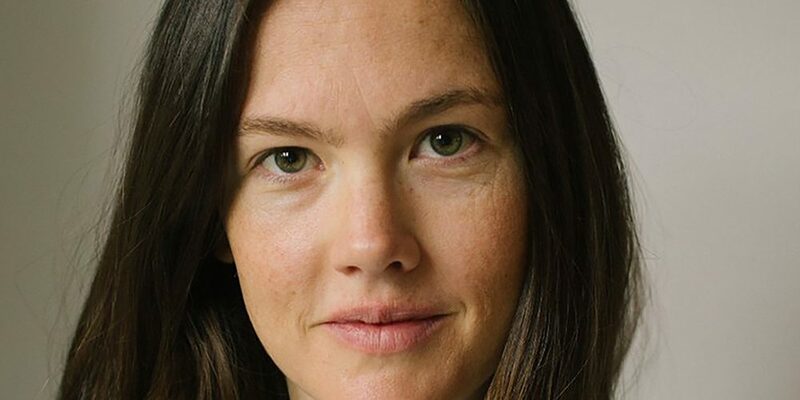 I followed him, as he followed the actual, embodied Hannah Kallenbach to her own home in Cape Town, as he crept into her garden “like a no-good animal”, and looked into her yellow room which, on first sight, he felt, uncannily, was “a room [he had] known or lived in so long ago that [he had] lost all memory of it”. Mr Field has become untethered from the spatial and psychological bearings that are thought to give structure to a human world. But the exact moment — or event — of his untethering is difficult to place. Is the uncanny, Gothic atmosphere of Mr Field’s South African experience a consequence of taking up residence in the House for the Study of Water; a house that, according to Hannah Kallenbach, “was never meant to be lived in”? Or did he bring that Gothic atmosphere with him, along with the mechanical pin in his shattered wrist, and the neglected piano, which emits a “confused imploring sound” each time Mr Field passes it, and is one of the several ghosts that haunt him in Le Corbusier’s machine for living? Mr Field’s undoing seems to precede his arrival in Cape Town. His initial performance of Chopin’s Raindrop Prelude (itself a prelude to the story of his psychological disintegration) is characterised by the experience of displacement. Preparing to play, he sits still at the piano, closes his eyes and seeks “to let [the composer’s] feelings [of fear, anxiety, and loneliness], by force of will, enter [his] body”. Then, following this unsettling performance, when the train on which he is travelling crashes, Mr Field is “picked up [by his rescuers] and carried like a dog”, enacting an elision of the human with the animal that recurs in various guises throughout the novel. And yet, there is no doubt that it is living at the House for the Study of Water which accentuates Mr Field’s condition, and another approach to reading this novel can involve seeing it as the story of a haunted house: that genre in which psychological frailty is embodied in architectural space. Driving into False Bay (surely an indication of the trouble to come), road signs sound a warning: CAUTION! DANGER! BEWARE! Having taken up residence in the villa, Mr Field is visited by phantoms: of his wife, Mim, who even before she mysteriously disappears is a spectre in her husband’s dissociative imagining (“I could see her lips moving but the glass between us cut off her voice”); of Hannah Kallenbach (“whose voice had become the background to my days”); and of “Chopin and his situation (like mine, only more lonely)”. The novel opens with a pair of epigraphs that emphasise the relationship between architecture and the psyche. The first is from the work of philosopher Peter Sloterdijk: “A house is a three-dimensional answer to the question of how someone can be together with someone in something”. 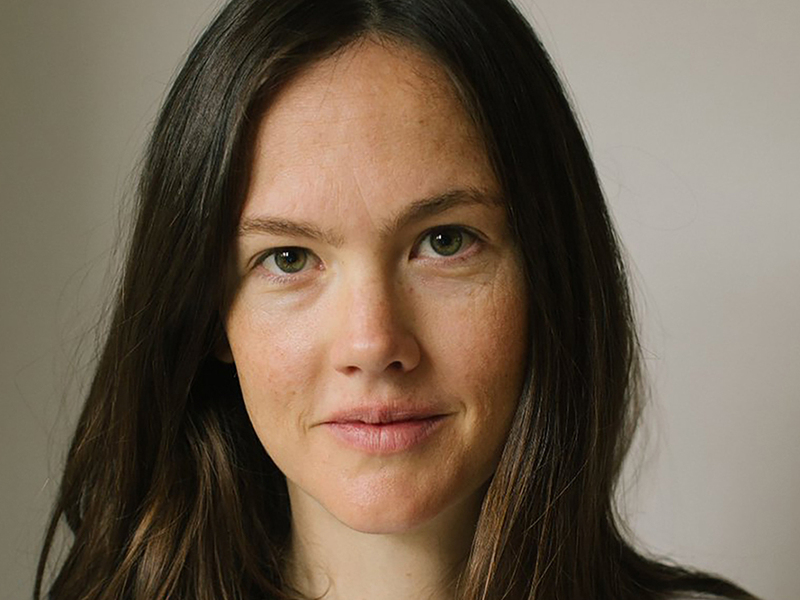 It flags the novel’s philosophical investigations — into love, especially — and the way, throughout the book, every event happens in relation to something and someone else. The second epigraph, from architect Bernard Tschumi, reveals the central — doomed — conceit of building: that “[e]ach society expects architecture to reflect its ideals and domesticate its deepest fears.” In the Villa Savoye, Le Corbusier aspired to reflect the ideal of an efficient, mechanised way of life. But living in Jan Kallenbach’s replica, all of Mr Field’s deepest fears resurface. By transplanting Le Corbusier’s système to the Cape Peninsula, Kallenbach sought to construct a House for the Study of Water. But studying the sea, Mr Field is instead brought “up against” himself. Another of the novel’s architects, Curtis Touw, plans to build a residential tower on the block alongside Mr Field’s, which is intended to realise his Manifesto for a House in the Sky, and embody a “machine for living in together”. Touw’s House in the Sky begins with an orderly grid mapped over the earth but remains unfinished by the end of the novel, reminiscent of a decaying Tower of Babel, its central light shaft become a refuse tip. What becomes apparent over the course of OK, Mr Field, is that the answer to the question of how to be in relation to others is not always the response one has looked for, and that architecture — which cannot contain the wildness of being — would do better to reflect a way of living with as opposed to domesticating our fears. So it is that Mr Field can begin to answer the question of how to be in relation with others — which, in this novel, is the question of how to love — only after the walls of his house have been breached and his fears allowed to surface. After the summer residents have left their seaside holiday homes, Mr Field find himself marooned in a place that “wasn’t intended for humans anymore”. Storms descend upon the peninsula — “blow, blow, blow” cries the phantom Hannah Kallenbach — and work ceases on Touw’s House in the Sky. Where once the regular sounds of building had kept a metronomic time for Mr Field, now the sound of rain, which has “breached the boundaries” of Kallenbach’s House for the Study of Water, affords him an “enduring uniform tempo” and provides “a sense of security”. Giving in to temptation, Mr Field unscrews the ribbon window and finds the resulting feeling of vulnerability “not unpleasant”. The weather has been let in, the boundaries between inside and outside dissolved, and “[t]hings were on the cusp of not being themselves”. The House for the Study of Water radically affects Mr Field’s perception of the world, in calm as well as inclement weather. The ribbon windows afford him only a “partial perspective” of events, and although this partiality, with its attendant “lack of clarity”, can be confusing, he finds also that it allows “room for fantasy”. Likewise, the “rhyming geometries” of the house, the intersection of its different shapes (“as in a cubist painting”), and the view of the nautical horizon which makes “a person two people at once” force him “to occupy several points of view” and confound his understanding of himself and others and their relation in space. There is, then, a certain catharsis to be gained from unscrewing the window — “[i]t gave me great pleasure to be doing something” — and, when the wind blows in the glass, Mr Field discovers a “heightened receptivity in me. It made me more susceptible to the world, letting me receive its imprint directly onto myself”. Discontented by the way the window artificially focuses his perception of the world and his relation with others, Mr Field makes a revealing intervention into Kallenbach’s replica of Le Corbusier’s machine for living. This intervention does not mean that Mr Field’s partial perspective suddenly becomes whole, but it does change his perception of one thing in relation to another: “I had the idea that it wasn’t my vision deteriorating but the very glue which held the objects of the world together growing old and weak”. Given his partial view and the repeated dissolution in his vision of fantasy into reality, it might be tempting to reduce Mr Field to that cornerstone of the ghost story: an unreliable narrator. But one of the remarkable aspects of Kilalea’s novel is that Mr Field is, in fact, uncommonly reliable in his representation of the dislocated mind in the body in space. The glue of the world might be old and weak, fear might have breached the building intended to suppress it, but Mr Field is OK.